Lancaster Personal Injury Attorney- Andrew L. Ellis Andy Ellis is one of the most successful Personal Injury Lawyers in California. Meet Mr. Ellis and find out how he helps his clients who have a personal injury case. http://ellisinjurylaw.com. An automobile accident, slip and fall, or injury on the job can turn your world upside down in an instant. Thankfully, there are strong laws on the books in California that are designed to protect you. 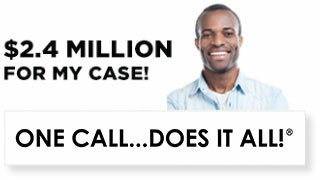 If you’ve been hurt, at no fault of your own, you may be entitled to cash compensation. 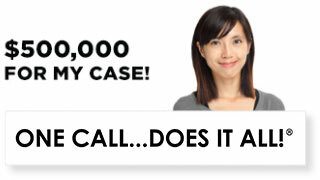 Lancaster personal injury lawyers are standing by, 24/7, to hear your side of the story. Getting back on your feet after an injury can be difficult, but you don’t have to do it alone. A talented personal injury lawyer from Ellis Law can help you get the justice you deserve. The only way to know for certain whether or not you have a strong case is to meet with a legal expert. We all know legal representation can be expensive. At Ellis Law, we believe everyone should have access to a top-notch legal team in their hour of need. We offer free and confidential consultations to determine if we can build your case. If we decide to proceed, we’ll either negotiate a generous settlement, or take the liable party to court. We don’t get paid a single penny until you receive compensation in the form of a settlement or a jury verdict. 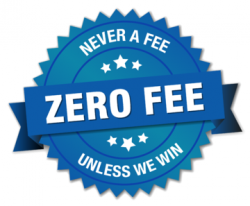 Don’t let a fear of legal fees keep you from standing up for yourself. Schedule an appointment today and we’ll discuss your options. Founded by Loyola alumni Andrew Ellis, Ellis Law has won over $350 million in compensation for our clients. From everyday fender benders that leave lingering injuries, to challenging tort cases that involve dozens of plaintiffs, we’ve used creativity, intelligence and an in depth knowledge of California state law to fight for the people of Lancaster and the greater Los Angeles area. When your livelihood, happiness and financial security are on the line, you deserve to work with a firm that has a proven track record of success. The hours and days following a sudden accident can be a whirlwind of confusion. 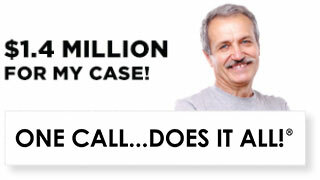 Seek medical attention if you need it, and contact a personal injury attorney right away. We’ll work tirelessly to help you get the money you need to pay your bills, and make up for your pain and suffering. Any accident that’s caused by, or made worse by, someone else’s negligence could lead to a lawsuit. Automobile accidents caused by a distracted or reckless driver are extremely common in Lancaster, and Southern California in general. 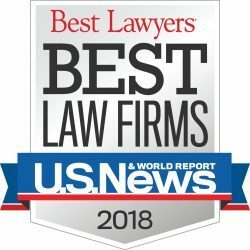 Whether you’re another motorist, riding a bike or motorcycle, or on foot, if you’re struck by a driver who is texting, speeding, or not obeying the rules of the road, you may be entitled to damages. Injuries from defective products, or falls due to poorly maintained railings, stairs, or walkways are other common accidents where one party is usually considered liable. If you’re uncertain as to whether or not you have a case, get in touch with a legal expert today. It’s the best way to make sure your rights are being protected.